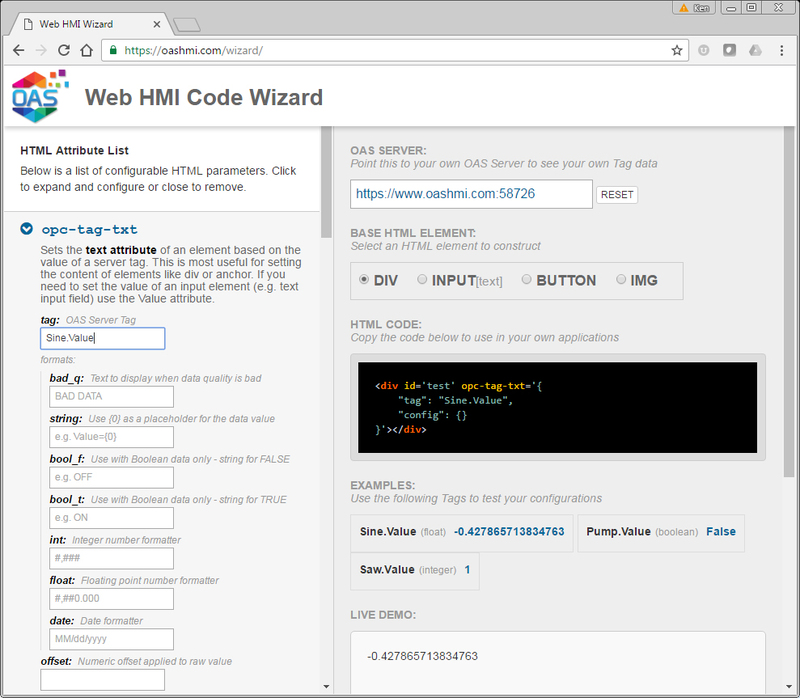 The OAS HMI Wizard provides an easy way to generate HTML code for inclusion in your web-based HMI or SCADA application. Locate in the left hand pane the parameter your require code for. Fill in the parameter values e.g tag name, client side event etc. The HTML code sample updates as you enter values. Select the HTML element you wish to output (top of right hand pane). Copy the code snippet and paste into your HTML page.